ICF International hired Andre Eaddy, a former vice president of programs at the SAIC Department of Homeland Security practice within the federal and civilian group. John Paczkowski and Mike Pampalone were promoted into new roles to strengthen the company’s resilience, cyber and information technology teams. Eaddy will join ICF as the senior vice president of IT modernization and management. He will lead new business development efforts and execute newly emerging opportunities in defense mission assurance and large-scale critical infrastructure resilience. “Andre’s wealth of experience across the IT environment—operations, business process improvement, emerging technology adoption, cyber and workforce enablement—makes him the perfect candidate to lead ICF’s growing IT portfolio,” said Randy James, senior vice president for enterprise and cybersecurity resilience. Eaddy brings more than 25 years of experience helping clients improve their enterprise IT operations through the adoption of emerging technologies and business systems improvements. Prior to joining ICF, he worked for SAIC for over six years. He also served as the North America practice director of cyber security services for Unisys for six years. Paczkowski will move into a stronger position to lead key strategic initiatives in national preparedness, infrastructure resilience and defense mission assurance. For the last decade, Paczkowski led the ICF emergency management and critical infrastructure protection practices and guided the company’s shift into the defense mission assurance market. He also secured major disaster recovery contracts in Puerto Rico and Texas in 2018. “John has been a key element in focusing the company on building adaptive resilience and mission assurance capabilities in service to our clients who now face an ever-more dynamic set of natural hazards and national security threats,” James said. Pampalone will lead the ICF homeland security and national resilience line of business. He was hired in September 2018 to lead the company’s infrastructure resilience practice. Pampalone carries significant experience in global resilience planning and implementation. 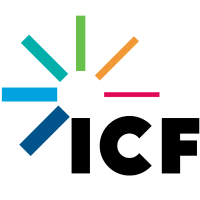 ICF is a global consulting services company with more than 5,500 specialized experts who are not your typical consultants. We combine unmatched expertise with cutting-edge engagement capabilities to help clients solve their most complex challenges, navigate change and shape the future.